Since 2014, Kodiak has gotten more than 99 percent of its electricity from renewable energy, using a combination of wind and hydro. It’s part of a growing trend, as cities around the nation aim for a hundred percent clean energy. But most of those communities are connected to the country’s major power grids – grids that depend on fossil fuel plants to keep them reliable. Kodiak doesn’t have that option. 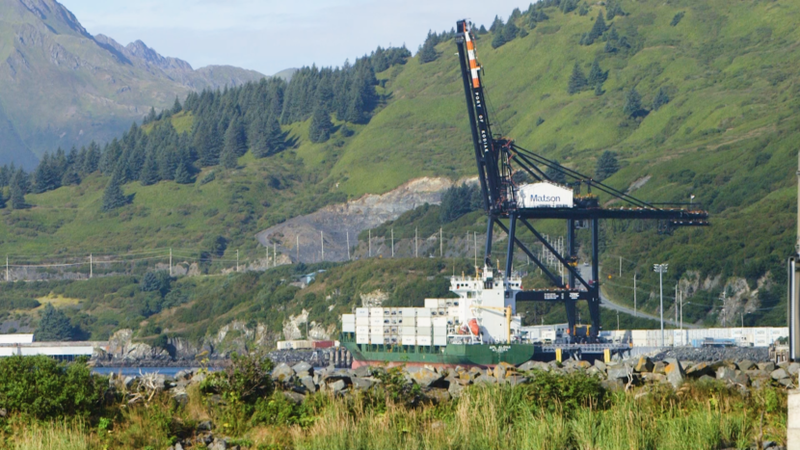 To understand Kodiak’s grid, it helps to check out the town’s shipping crane. It’s a black and orange beast on the Kodiak waterfront. At more than 340 feet tall, it is way bigger than anything else around. This crane serves the nation’s second largest fishing port, loading freezer containers full of salmon and halibut and cod onto ships. Plus it handles just about anything else that needs to come in and out of Kodiak. “If you’re buying it at Safeway, chances are we brought it in the night before,” Rick Kniaziowski said. He runs the Kodiak terminal for the shipping company Matson. And, like everything else that runs off electricity here, the crane is entirely powered by renewable energy. So when Kniaziowski approached the head of the local utility to propose replacing Matson’s old, diesel-powered crane with a giant electric one, the answer at first was: no. 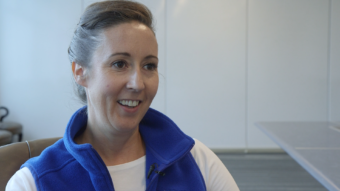 Jennifer Richcreek works for Kodiak Electric Association, or KEA, the local co-op. She said an electric crane was a big ask. Spoiler alert: they did figure it out – with some seriously sci-fi stuff. 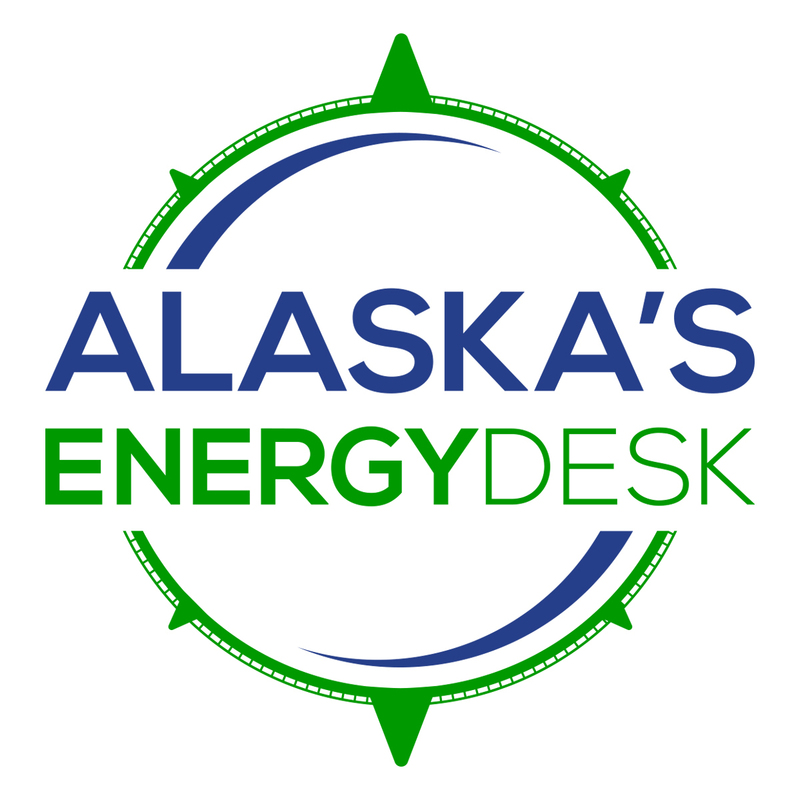 Kodiak Electric first set a goal of 95 percent renewable power back in 2007. It was pretty ambitious. The Kodiak waterfront is lined with fish processors. Down the road is the nation’s largest Coast Guard base. To the south is Kodiak’s rocket launch facility. Those are a lot of big energy users who need rock-solid, reliable, affordable electricity. Which is not exactly what renewables were known for. But the co-op also had a major motivation: the cost of diesel. Ten years ago, Kodiak got about 20 percent of its power from diesel generators. The rest was hydro – so in a dry year, diesel use could spike. And the cost of diesel was very high and totally unpredictable. Businesses had trouble forecasting their electricity bill. Richcreek said it was like being held hostage to diesel. “When you have that threat of a diesel bill hanging over your head every month, that is very motivating to find solutions,” Richcreek said. So the co-op decided to try something Kodiak has a lot of: wind. In 2009, they installed the first three wind turbines on Pillar Mountain, above town. But wind isn’t easy to work with. That’s the opposite of how a traditional power plant works. With coal or natural gas, it’s there when you need it. So KEA had to figure out how to make its wild child play nice. Specifically, they had to figure out how to manage the hand-off from wind to hydro power. Wind might change intensity second to second. Meanwhile, the town’s hydro power takes minutes to ramp up. The solution? A bank of batteries. Those can supply energy quickly while the hydro ramps up behind them. That system worked pretty well. Every time the crane lifts a shipping container, it’s a massive, immediate pull on the grid. And when it drops that container, all that power comes rushing back. So here’s where it gets a little sci-fi. Kodiak looked around and decided to try a flywheel – a six-and-a-half ton spinning mass. “It’s in a frictionless vacuum chamber hovered by magnets… which is so cool,” Richcreek said. The flywheel stores energy as motion. When there’s a surge of energy onto the grid, it spins the flywheel…and it keeps spinning, until that energy is needed again. Altogether, it’s like a dance, or an orchestra: each piece is watching the rest, and responding second by second, millisecond by millisecond. The wind drops suddenly and the flywheels kick in. As the flywheel fades, the batteries step in, and behind it all, the hydro ramps up. All of this is really unusual. 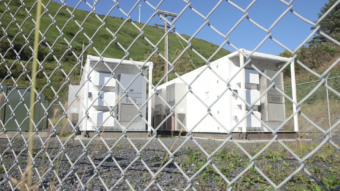 KEA’s head, Darron Scott, said as far as he knows, Kodiak is the first to combine batteries and flywheels in this kind of cascading energy storage system. To integrate lots of variable energy like wind or solar onto a grid, especially a small grid like Kodiak, you need that storage and moment-by-moment communication. Not many places have mastered it. But Richcreek said this is the future.